Damage claims are inevitable when you own a moving company. Mistakes happen. 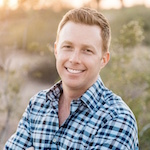 You want to set up a process so that you can deal with the claims right away and make sure you correct the issue with your customer and make them happy. Assess the damage – How Bad is it? Is it something that can be repaired within your company, or do you need to call a 3rd party repair company? Or should you replace it all together and settle with the customer? Assess what it’s going to take to make the customer happy. Repair, pay or start claims process – If you can repair it on the spot, repair it. If not, and the customer is willing to take a reasonable amount of money to solve it, go ahead and pay them. Otherwise, start the claims process. Go through a step by step process, whether it’s within your own office or through a claims process service company. Resolve issue & get a signed agreement – Just like complaints, claims are no different. You want to make sure you resolve the issue. If you are cutting a check to the customer, once the issue has been resolved, make sure you always get a signed agreement between you and the customer stating that a check was issued for claims and that they cannot come after your company later on and sue you for the damage that you’re paying them for. Train your movers on the specifics – Once you establish what types of damages are happening you should retrain your movers on how to protect those specific items. For example, if you’re getting a lot of damage with glass table tops, train your movers on how to protect and move glass table tops. Reward your movers for no claims – Don’t just look at it as part of your mover’s job not to cause damage, reward them for it. This will incentivize them to take the extra precaution needed to safely move your customer’s belongings. It’s a win-win-win, for your company, your customers, and your movers. I recommend using a claims process service company, who will facilitate all the paperwork for you and take all the administrative tasks off your hands. I used Claims Service International (CSI) to help with facilitating the claims process for our customers. Having a process in place to deal with damage claims as they come into the office will help you resolve the issues and keep your customers happy. Oh yeah… and increase profits. Hey, my friend. 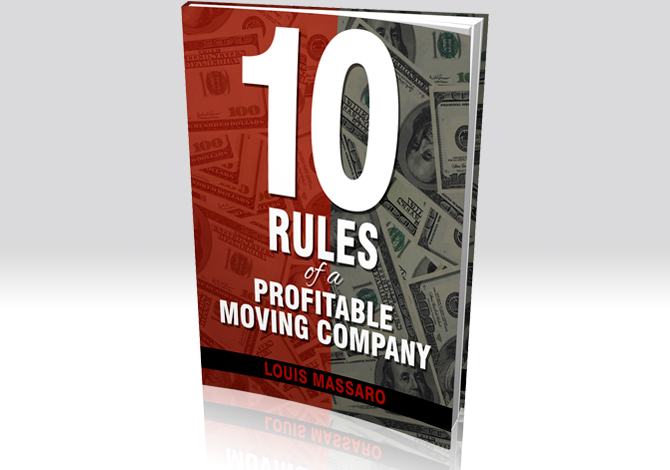 It’s Louis Massaro, CEO of Moving Mastery and founder of Moving Sales Academy. What do you do when you get a damage claim? It’s inevitable. It’s gonna happen. No matter how hard you try, no matter how well you train your movers, no matter what processes and procedures you put in place, there’s gonna be damage on a move. It happens. Whether it’s an antique piece of furniture that gets a scratch on it, whether it’s a table, the leg totally breaks off, whether it’s glass that get shattered and broken, there’s damages that happen on a move which is part of taking furniture, putting it in a truck, and moving it. What happens? What do you do when you get a damage claim? How do you address it so that you can move on, keep your customer happy, and then work to make sure that you don’t get as many claims in the future? The first thing you need to do when a claim happens, so when the customer calls and says they had some damage, or when your mover says, “Hey, there was a little damage on this job,” is you need to assess the damage. How bad is it? Is it something that can be repaired with a little furniture repair marker that maybe your head mover knows how to do? Is it something that you need to call a repair guy and let him come out and repair the furniture? Or is it something that’s completely destroyed? You need to assess the damage and you need to assess what it’s going to take to make the customer happy. It’s not just about repairing the furniture. It’s about making the customer happy. That’s the first thing you wanna do. Then, repair, pay, or start the claims process. If you can repair it on the spot, repair it. If you can send somebody out there to repair it, repair it. If not, and the customer’s willing to take a reasonable amount of money to resolve it, go ahead and pay them and make them happy and be done with it. Otherwise, you need to start the claim process and you really need to go through a step by step claims process. 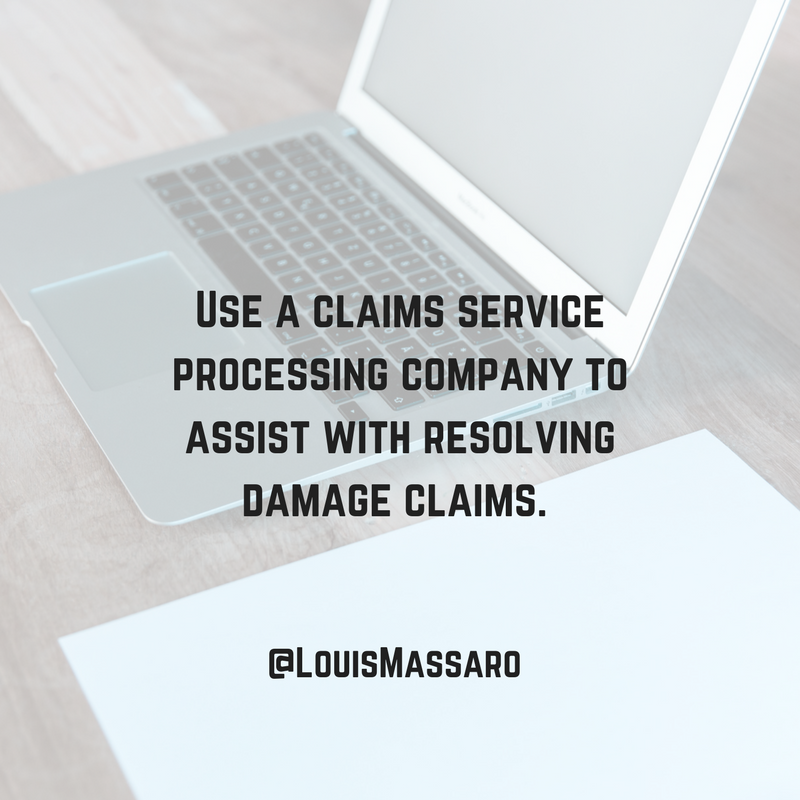 I recommend using a claims processing service company. I’ll go ahead and put some links down below. There’s companies out there that specialize in handling claims for moving companies and what they do is they just take the administrative task off your hand. They take the interaction with the customer and they handle it. They go through the step by step, they get the pictures from the customer, they get the original receipt from the customer. They evaluate what it’s worth, what you should pay out, and they’ll facilitate all the paperwork for you. Then you wanna make sure that with all complaints, damage is no different, that you resolve the issue. But with the damage, they wanna resolve the issue and always get a signed agreement if you’re cutting a check. If you’re cutting a customer check after going through the claims process, make sure that they sign an agreement stating that they can’t come back after you later and sue you for the damage that you’re paying them for. A claim servicing company will help with this, but you wanna make sure you get a signature if you’re cutting a check. Resolve that issue. The next is train your movers on the specifics. I’ll give you an example to this. I had an issue with claims and I noticed it in one of my offices by reviewing my P&L, the profit and loss statement. I’m reviewing the P&L and I see that there’s a high from one quarter that would just seem to be a high dollar amount paid out in claims. I drilled down. I looked into our moving CRM. I ran the claims report. I saw that we had a high volume of claims, so we started to look at what the claims actually were. And it turns out the majority of the claims were all for either glass table tops or marble table tops and that was the bulk of all the damages. What do we do? We don’t retrain the movers on everything. We noticed that certain movers didn’t know how to do that properly. In other words, regardless if we train them on it or not, they weren’t protecting the glass tops, they weren’t protecting the marble tops, they weren’t moving them properly, so we retrained them on that specifically and resolved the issue. You wanna make sure you take care of the customer, but you also wanna come back on the back end and make sure that you prevent these problems from happening again. Drill down on the specifics. Look at what exactly the claims are. Unless your movers are just completely negligent and they’re just breaking everything, in which case you need new movers or you need to completely retrain them, you could usually isolate what’s happening. Is it scratches? Are they breaking legs off of tables cause they’re not moving them properly? What is the specific? Train them on the specifics. And number five, reward your movers for no claims. 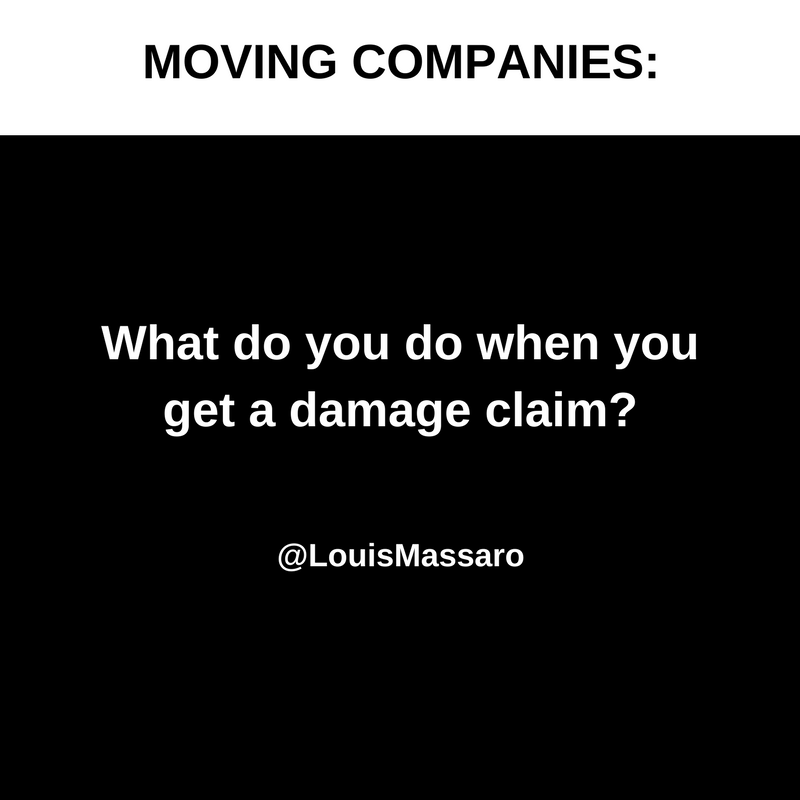 I know companies will deduct their movers for claims and charge them for any claims that they cause, but what you wanna do is you wanna have a good process around the way that you handle your claims. You wanna make sure that you can address them as a company, retrain them in certain specific areas that you know are problems, and then reward them for doing a good job and not just look at it and say, “You know what? Their job is to move furniture and they get paid for that. They shouldn’t be damaging stuff.” If you want them to not damage furniture, reward them for it. That’s a huge bonus. It’s a win-win for you, the customer, for them, all the way around. It just makes your company better. That is your mover doing an excellent job. If they go out and they make your customer happy and they don’t damage furniture, reward them for it. Listen, the key is to address the problem right away. 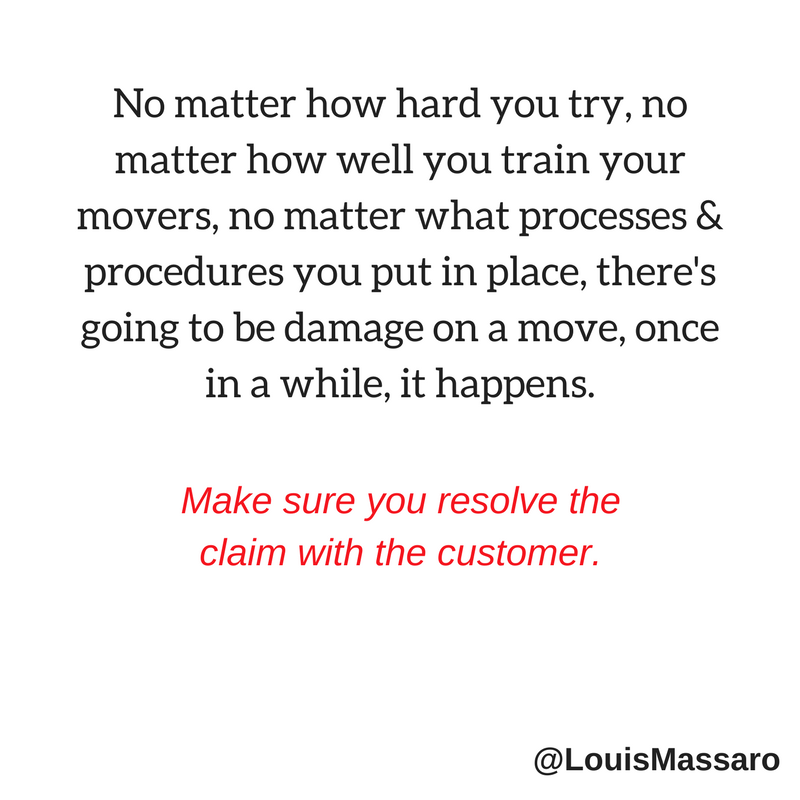 The key is you wanna make sure that you’re making the customer happy and you just wanna have a system for when… When a claim happens, just deal with it and move on, but don’t leave anything uncovered. You deal with the customer, then you find out why it’s happening, what the specifics are of what’s being damaged. Is it negligence by a crew that just has no idea what they’re doing? Or is it a specific item, like in my case, the table tops? We were having problems with those, so we trained them on that and that problem went away and that all results into additional money for your company. Because if you’re spending money on claims, that’s less profit. Period. I told you that I saw one quarter of our profit and loss statements just high claims being paid out. Well, what do you think happens when that goes away and we eliminate that? There’s plenty of money left over to reward the movers and there’s plenty of extra profit left over too. Not to mention the happy customers, the positive reviews, all of that just accumulates to help build your business. 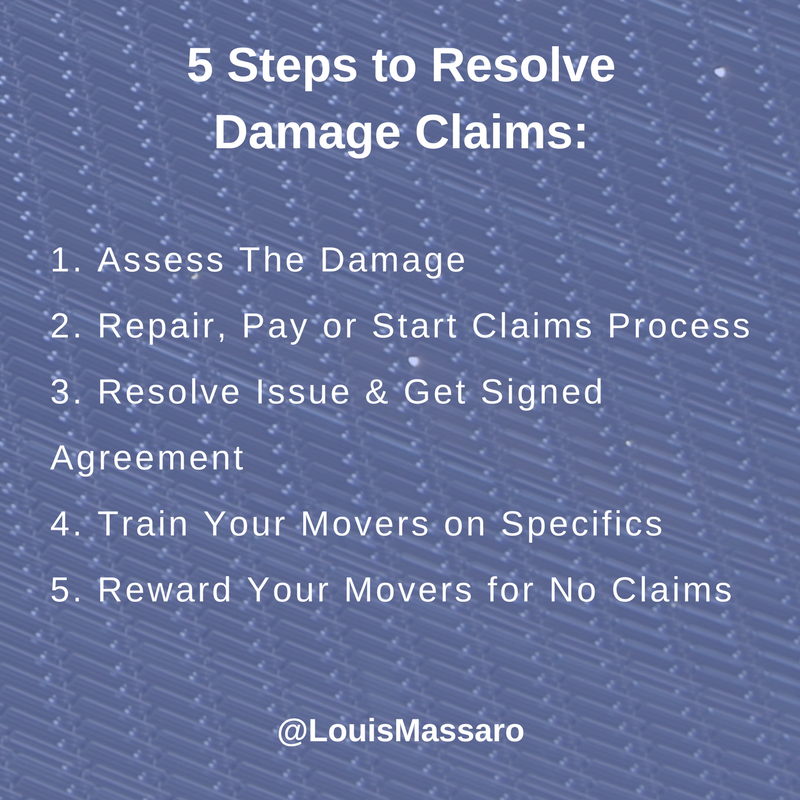 Follow these steps to resolve the claims. If you have any questions, leave me a comment below. Until next week, go out there every single day, profit in your business, thrive in your life. I’ll see you later.